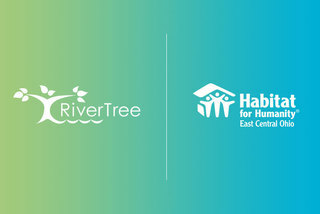 A team fundraising campaign for Habitat for Humanity East Central Ohio. 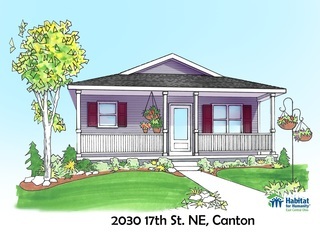 Serving Stark, Carroll, Tuscarawas, Harrison, and Jefferson Counties, Habitat for Humanity East Central Ohio is driven by the vision that everyone needs a decent place to live. People partner with Habitat for Humanity to build or improve a place they can call home. Habitat homeowners help build their own homes alongside volunteers and pay an affordable mortgage. Through financial support, volunteering, or adding a voice to support affordable housing, everyone can help families achieve the strength, stability, and self-reliance they need to build better lives for themselves. 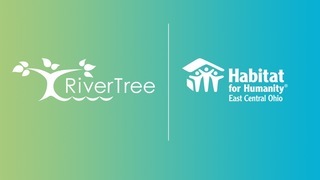 To learn more, visit habitateco.org. A various group of people across Northeast Ohio that care enough to do something. 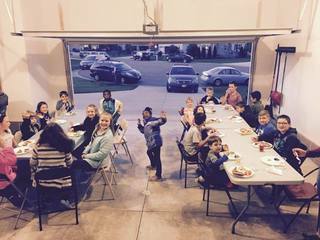 Next Gen Family GoCo is made up of families with elementary and middle school age children. We want to raise money for a "Brush with Kindness" project so we can serve another family. Our school staff wants serve and bless a family in Stark County by helping paint and refresh their home. We are trying to raise $1,250.00 to help make this "Brush with Kindness" dream happen. Please help us meet our goal and join us in blessing this family. Thanks for your generous support, Jeff! Thank you, Diane, for your support of Richard and Nancy and Habitat for Humanity! Dave, thanks so much for your gift of support! Kelly, thanks so much for your gift of support! Thank you for supporting Richard and Nancy and Habitat for Humanity! We're so thankful for you, Sondra. Your gift will make a difference! Thank you all so much for your gift! David and Michelle, we are so thankful for your gift and support! Thank you so much for your gift of support, Jud! Jim, thank you so very much for your generous support! Thank you, Amanda, for your generosity and support! We're so thankful for your partnership, Faith! Ashley, your support means so much. Thank you! Sue, thank you so much for your support! Thanks so much for your generosity, Jim! Thank you so much for supporting Scott and Habitat for Humanity, Tim! Thank you so much for your support, Bob and Janet! Thank you so much for your generous support, stranger! Thank you for supporting Ginger and Habitat for Humanity!